Bentley Adopted by a YAH Volunteer! Every adoption is special, but when one of our seniors goes home with a repeat adopter who also happens to be a faithful volunteer at our cat center, it makes the adoption that much more meaningful. 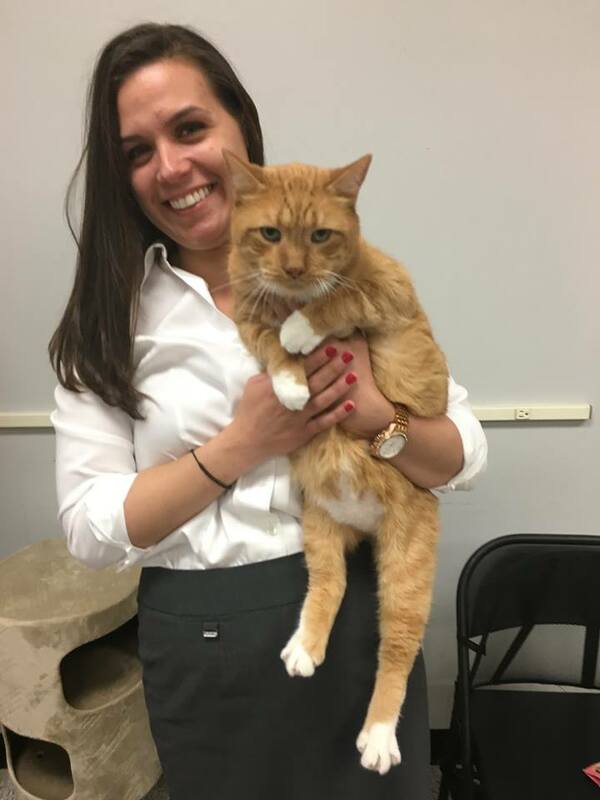 Bentley, age 11, is one of the sweetest kitties you will ever meet and now he is adopted and loved by Stephanie and her husband, and we are so thrilled he gets to stay in the family! Thank you Stephanie for your commitment to the senior kitties of Young at Heart! We know Bentley has hit the jackpot and we look forward to updates of his wonderful life with you!